Ireland to Holt, Norfolk – on foot! As a postscript to Tuesday’s posting about “Going for a Soldier”, here is the strange case of Ann Everett, an Irish girl aged only 16. The poor child had married a Norfolk man, born in Holt, who was a soldier in the 77th Regiment of Foot, which must have been serving in Ireland at the time. Very soon, his regiment was moved and sent to Cork from where it was to go to Plymouth, presumably before being shipped somewhere overseas. Maybe the husband never intended to return. Maybe he realised that, without him, his young wife would have no means of support. Either way, he seems to have taken her to Liverpool, them left her there and pointed her in the direction of Norfolk. 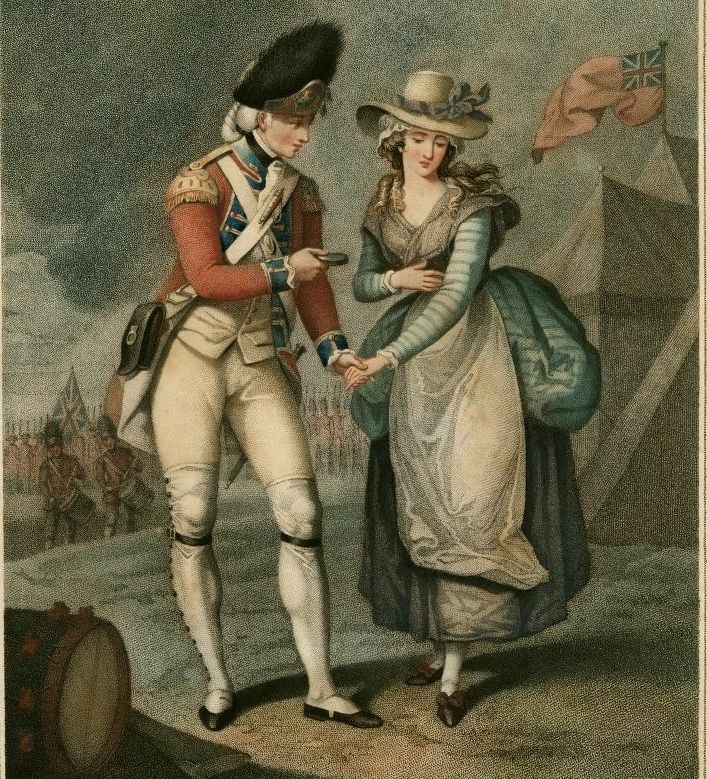 Without friends or family, she had to make her own way, assisted only by a pass provided by an officer in the regiment. What is amazing is that she almost made it. She managed first to reach Aylsham, about 10 miles away from Holt, where she was committed to the workhouse, then Briston, barely four miles from her final goal. At Briston, she again had to call on the Overseers of the Poor, who promptly shipped her to Holt. She certainly should have been accorded a settlement there, based on it being her husband’s place of birth. Unfortunately, she now vanishes from the records, so we do not know what else life had in store for her. 2 Responses to Ireland to Holt, Norfolk – on foot! We can only hope the rest of her life wasn’t as cruel. The wives of soldiers still have a tough life, but at least they get a food and housing allowance. No information about the rest of her life, but she did get help in Holt.